The bathroom is the second most expensive room in the home to remodel, costing around $10,000 on average. Therefore, it’s very important to do a thorough bathroom inspection when shopping for a new home, especially if you’re a first-time homebuyer. With all the plumbing, electrical, and fixtures packed into a small space, there are many problems a bathroom can hide. Some signs can be obvious, like a cracked sink or toilet. But others aren’t so easy to find. Older homes are known for causing headaches when it comes to the bathroom. One of the biggest is an old technique for installing bathroom tile: using wire mesh. The wire or metal mesh holds together the mud that the tile lays on, creating a sandwich of wires and a concrete-like material. 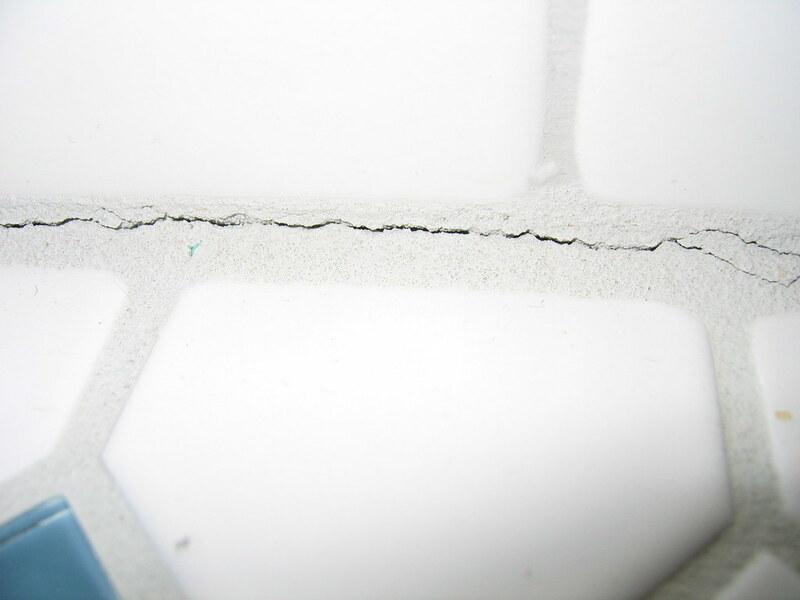 If you ever need to install new tile, you’ll have to sledge hammer, pry off, and cut piece by piece all of the material. This is not an easy task and some people resort to using air-powered hammers or saws. 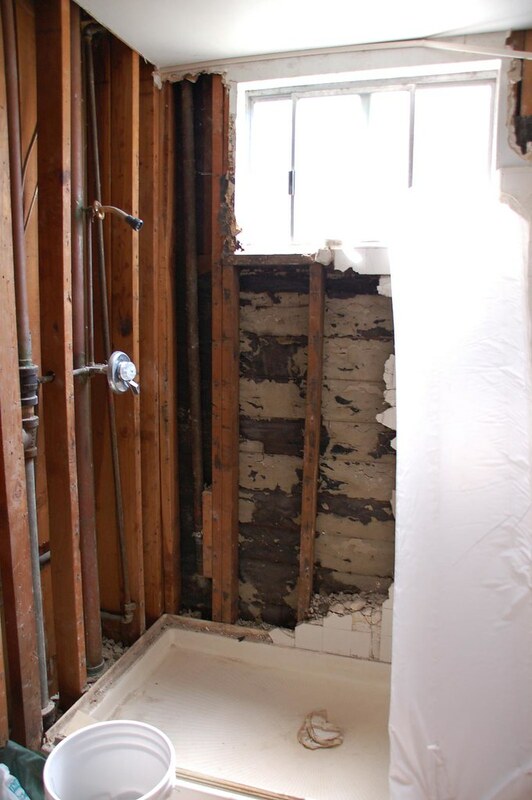 Tearing down a bathroom could take days instead of hours. Probably one of the most overlooked problem areas for first time homebuyers. A clogged overflow drain can be a sign of a larger problem. Older sinks tend to be made of cast iron and cause drainage problems as they rust over time. If that rust extends to the sink overflow, it can clog and create a foul odor. 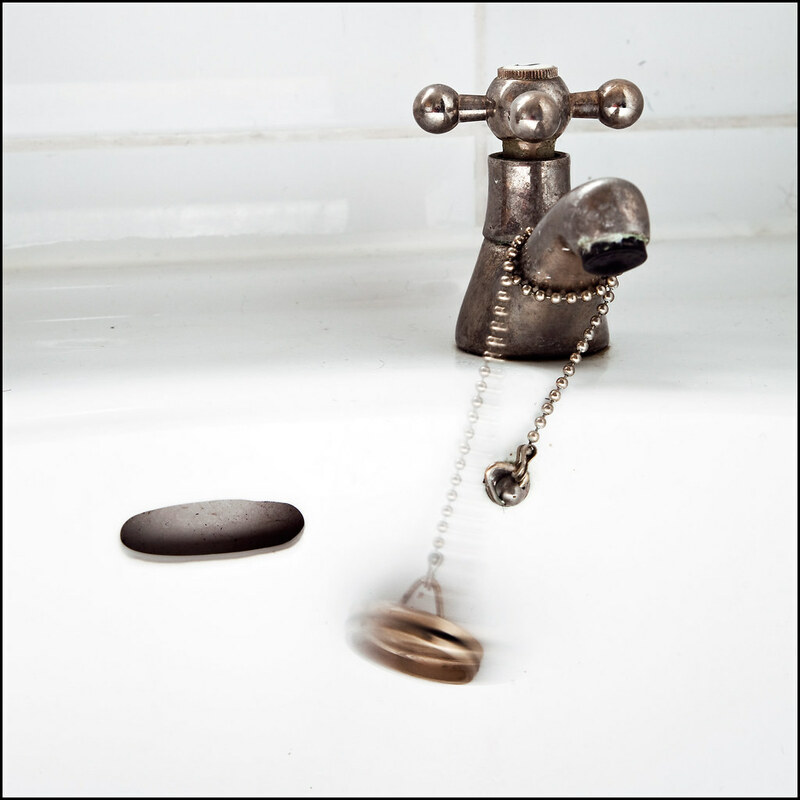 If a sink is too old and rusty, it will need to be replaced. 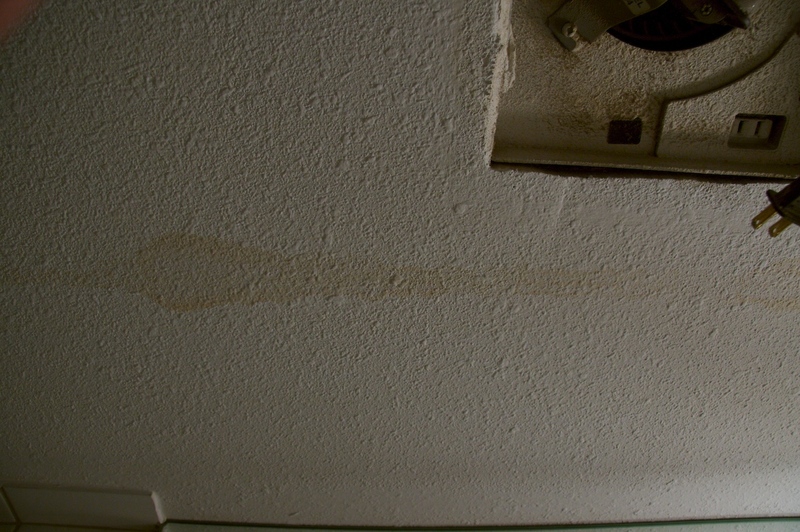 If a seller is trying to get away with anything, it will be trying to hide water damage. So it will be your job to hunt down it down. The best detection tool you have is your own nose. Don’t be shy and take a big whiff in every nook and cranny. Mold has a pungent smell that permeates through walls. Mold is caused by moisture in the walls, floor, or ceiling. This moisture can cause walls to stain and paint to peel. These are signs to look for too. A huge warning sign is noticing a single wall has been painted over. This is a way of hiding stains for potential buyers. If a bathroom is on the second floor, go downstairs directly beneath it and check the first floor ceiling for water stains. Don’t be afraid to look inside the bathroom vanity either. But take a really good look. 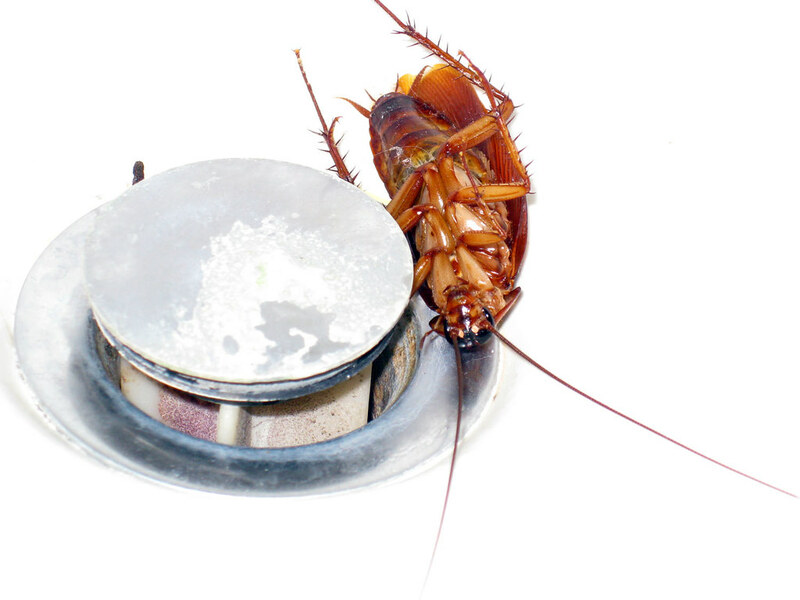 See any dead bugs lying around inside? Maybe some rat droppings? If you see either of these there is a good chance that the bathroom has a pest problem that needs to be solved. Mice tend to gnaw on surfaces with their teeth. Look for tiny scratches along edges and corners. If it’s a solid wood vanity and you notice what appears to be sawdust in the corners, there may even be a termite problem in the home. This is a good sign that the owner of the home quickly made repairs to the bathroom without caring about the quality. From their point of view, they just want the house to sell, no matter the condition. So they will invest the least amount possible to get the bathroom looking good enough to sell. You may need to replace some of the existing fixtures, appliances, and furniture. There are many bathroom vanity and bathroom fixtures retailers out there, like one of our favorites: Tradewinds Imports. The experience of shopping for a home for the first time should be a memorable one. But not the kinds of memories filled with regret and remorse. Avoid unnecessary headaches by doing a thorough bathroom inspection.